Mike Smith. Photo credit goes to John Borzain. 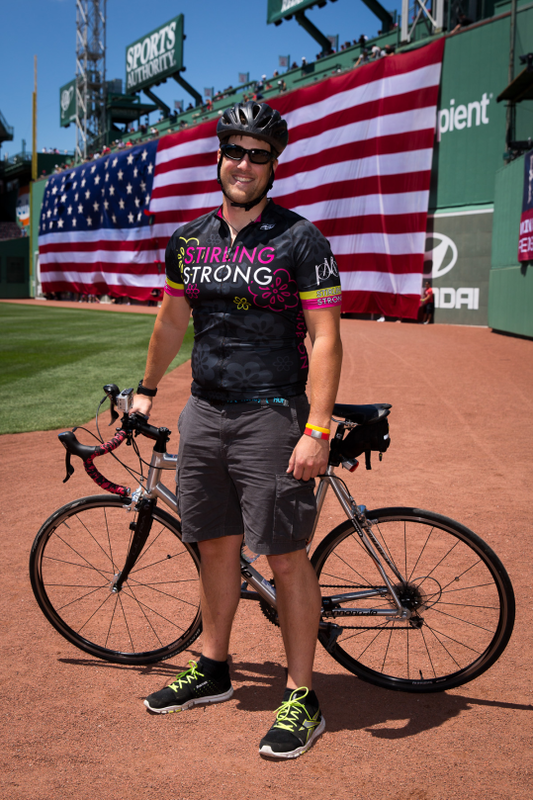 The Milford Democrats are very happy to see our own Mike Smith be honored by the Boston Red Sox as part of the annual “Pan-Mass Challenge” at Fenway Park. Smith rode with fellow cancer survivors at Fenway during a pre-game ceremony last weekend on June 15th, Father’s Day. The Connecticut Post had originally posted an article about our own Mike Smith’s adventure and a user at the Milford Patch also wrote up a personal article on this amazing event. This entry was posted in News and Events and tagged Boston Red Sox, Connecticut., Fenway Park, Mike Smith, Milford, Pan-Mass Challenge, PMC Event. Bookmark the permalink.